Ronald S. Lessem, D.D.S. is a gentle, caring dentist who has been practicing for more than 40 years. 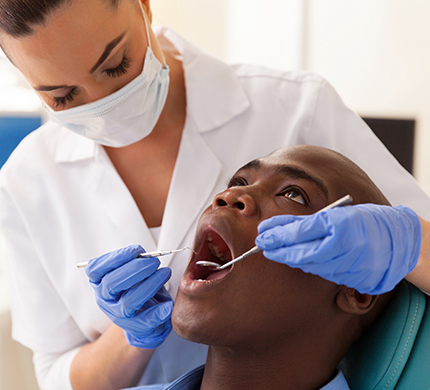 At our office, we know that it's common to feel a lot of anxiety when you go to the dentist. That's why we do our best to make you comfortable. We like to schedule only a few patients at a time so that you don't feel like we are rushing to get you out of the office. Our receptionist takes the time to get to know everyone who walks in and will quickly make you feel like part of the family. We also offer coffee while you wait. Our personalized approach seems to work. Many people come to our dentist office after having prior bad experiences at the dentist. However, after a few visits with us, they are content and relaxed.